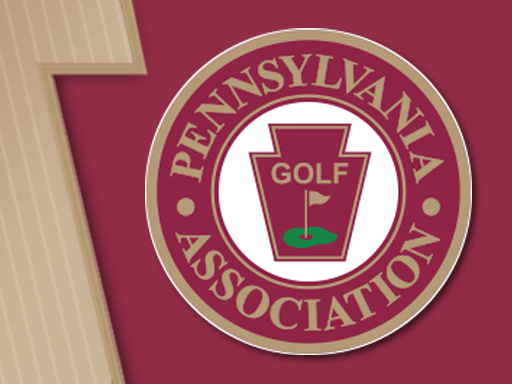 The 1990's saw the game of golf grow tremendously leaving most State and Regional Golf Associations with the task of adding new tournaments such as the Four-Ball and Senior Four-Ball Championships as well as a Middle-Amateur Championship. In 1990, Hillcrest Country Club was the site for the inaugural Four-Ball Championship. Guy Costin and Tom Shallow of Philadelphia Country Club won by two shots over Sean Knapp and Jeff Schroeder of St. Jude Golf Club. The format of this championship is 36-holes of stroke play with the lowest score winner. Artie Fink, Jr. & Anthony DeGol Sinking Valley C.C. & Scotch Valley C.C. Michael Cook & Connor Schmidt Waynesborough C.C. & Nemacolin C.C. Zachary Herr & Jake Reilly Jericho National G.C. & Hershey C.C. Craig Hornberger & J.D. Dornes Lancaster C.C. & Meadia Heights G.C. Zachary Herr & Adam Hofmann Jericho National G.C. & Fox Chapel G.C. Michael Brown & Andrew Mason Phila. Public Links & Huntingdon Valley C.C. Andrew Arnold & Doug Marcincin Lancaster C.C. & Northampton C.C. Zak Drescher & Matt Moot Lancaster C.C. & Windber C.C. Mike Domenick & Ed Chylinski Phoenixville C.C. & Chester Valley C.C. Eric Williams & James Gardas Honesdale G.C. Jason Bernstein & Alan Borowski White Manor C.C. Stu Micheals & Josh Norris Clearfield-Curwensville C.C. Christian Davis & Alex Knoll Glenmaura National G.C. & Bethlehem G.C. Sean Duffy & Jeremy Graham Frosty Valley C.C. Miguel Biamon & Bernie Zbrzeznj Whitemarsh Valley C.C. Scott Micklewright & Chris Lilly Blue Ridge C.C. Michael McDermott & P.J. Shevlin, Jr. Llanerch C.C. Doug Fugate & Ellery Tarbell Lake View C.C. Greg Ferguson & Artie Fink, Jr. Sinking Valley C.C. Andy Achenbach & Lee McEntee LuLu C.C./Doylestown C.C. Jerry Donofrio & Robert Galbreath Sandy Run C.C./Philmont C.C. Jack Holland & Tom Isola Whitford C.C. David Patterson & Drew Yard Whitford C.C. Guy Costin & Tom Shallow Philadelphia C.C.